The last two AFL premiers have plenty of things in common, but one which threatens to reshape the league. Small ball is here, and it will shake up every team in the competition. 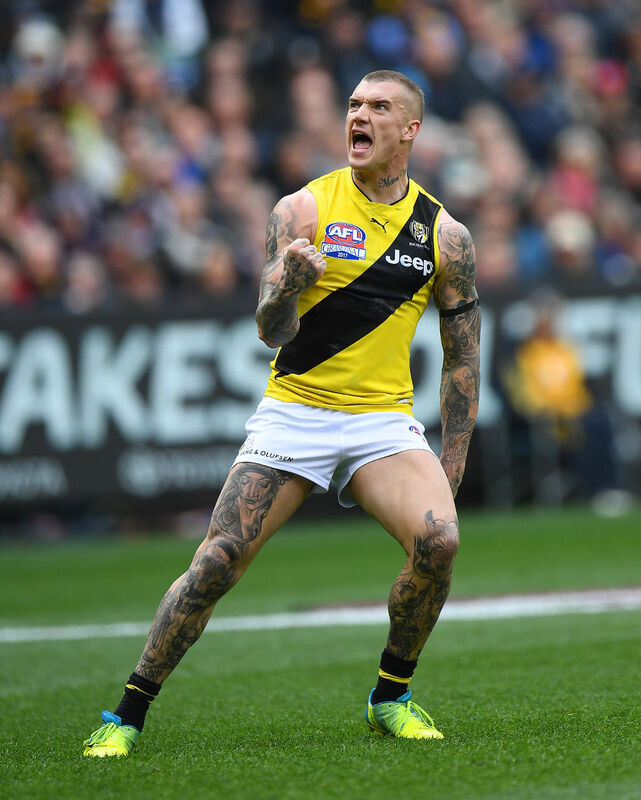 In the hours and days after Richmond’s stirring premiership win, plenty of pundits were keen to link their September run to the remarkable rise of the Western Bulldogs last year. They are not remotely similar. The Tigers finished in the top four, and played at home in their first week. The Dogs finished seventh, and travelled to West Coast in their first week. The Tigers won their first game and had a week off. The Dogs won and travelled back to Melbourne to face the Hawks. The Tigers played at home in week three, against a non-Victorian team. The Dogs travelled to Western Sydney in week three. The Tigers kicked away from the Adelaide Crows in the second quarter of the grand final. The Dogs needed three-and-a-half quarters to get over the Swans. The Dogs made the finals in 2015, and were at or near the top of the ladder for much of 2016 until injuries struck. 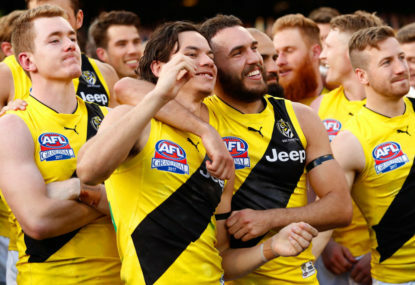 The Tigers did not make the finals in 2016, were at or near the top of the ladder for almost all of 2017, and had a charmed run with injury. These two premierships are not remotely similar. Please stop comparing these two premierships. Their paths to the flag may have been strikingly – perhaps deceptively, given the webs being spun – different. But Richmond and the Western Bulldogs share a couple of key traits on the field. First, they were system teams. And they played a similar system. Both the Dogs and Tigers were built on defined zone defences and oodles of forward half pressure, designed to create and score freely from turnovers. The pace of play was important, and allowed the clubs to manufacture chaos around the ball. Both teams eviscerated their opponents in their forward halves, particularly during their respective finals campaigns. The numbers that would support this view are held under lock and key, but from the snippets I have seen both the Dogs and Tigers legitimately mowed down teams in forward half stoppages, and created a tidal wave of turnovers that led to scores. Their presses were watertight, helmed by a fleet of aerialists and structured as if built by a nuclear technician. To work it needed pace. The Tigers were quicker than the Dogs, but both sides sought out and selected the fleet of foot on their list to play in the front half. And ground balls. A clean handle was a must. You know what else? Once confident in their systems, coaches Luke Beveridge and Damien Hardwick went all in on small ball, playing few key position players in their forward half and instead populating the forward 50 with mid-sized and small forwards who could bring the pressure and run the opposition off their feet. The Bulldogs lost many of their tall forward options throughout the 2016 season, and turned to a cast of flankers and former midfielders to fill the forward half role. Jake Stringer played as a small forward in spite of his size, and Tom Boyd spent time rotating through the ruck. The Tigers went even further, surrounding key forward Jack Riewoldt with four or five small forwards for the entire second half of the year. He was one out, the only man taller than 190 centimetres who spent time in the forward 50. And Riewoldt rarely left the forward half; 160 of his 305 touches came inside the stripe. One could say both cases were born of necessity. 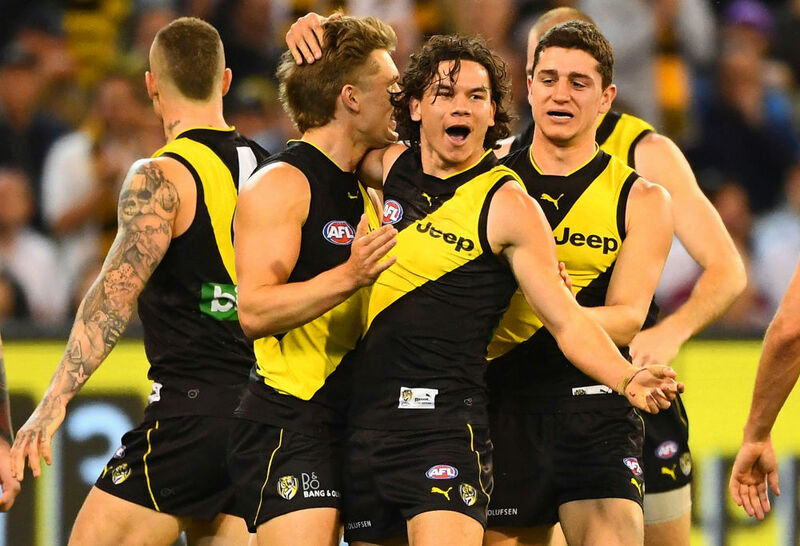 Richmond had nary a quality tall forward on their list, and once it became clear there wasn’t a workable option – Ben Griffiths was injured, Ivan Soldo, Todd Elton and Maibor Chol too green – small ball became Plan A. The Dogs were similarly light on, and by the last game of the season were left playing Zaine Cordy as a lone tall hand up forward. It might have been the mother of invention, as the old adage goes. Even if that’s true, small ball is now 2-0 in the last two finals series. And there are signs early in this trade period that clubs have paid attention. Football has become increasingly dominated by two facets of the game: possession and territory. I have numbers – self-curated – that show the team which won the time in possession battle won 152 of 198 games during the home-and-away season. It is only natural. Scoring from a possession won in the forward half is much easier than scoring from a possession won in the back half. The ball has to travel a lesser distance, and the risk of turning over possession is reduced. That was the intent of the forward press, first installed by Michael Malthouse in his Collingwood years and refined by Ross Lyon at St Kilda and Fremantle. It took an additional turn in recent years, as so-called forward pressure became a thing, first at Hawthorn and then – evidently – at the Western Bulldogs, Richmond, and other clubs throughout the league. Traditionally, small forwards have been relied upon to provide forward pressure. This makes sense; they’re lower to the ground, more agile and above all quicker than their larger counterparts. That’s not to say tall forwards can’t provide forward pressure – West Coast’s 199-centimetre Josh Kennedy is one of the most ferocious, and effective, forward tacklers in the game – but on average a smaller player is better able to apply forward pressure. In general terms, a smaller player will find it more difficult to take a mark inside 50 than a taller player. Teams remain locked into the idea of playing tall players in defence, which would seem to give a tall back six an advantage against a smaller front six. Layer on top the increased trend of teams playing a spare defender and a small forward line would appear to be setting itself up for a pantsing in the intercept marking game. But that is contingent on two things. First, it relies on the attacking team kicking blindly inside 50 – playing caveman football, like the 1980s and ’90s. If the attacking team is content to bomb away, then of course a defence with a series of marking talls will go well. That can be countered by smart ball use, and quality skills further up the ground. And even though small players may have a height disadvantage, anyone can take an uncontested mark. Small players still have gravity that pushes and pulls a defence. Second, there is only one ball. It’s a cliché, but the ball can only be in one place at any one time, and like players it has its own gravitational pull. Should the ball be kicked inside 50, the laws of football physics dictate a pack be formed, and a mark be contested. A mark to the attacking team is great, but for a small ball team a contest and spillage to the ground is almost as great. A ground ball situation, between taller defenders and smaller forwards, unfolds, and the attacking team either wins the day there or then or creates a stoppage. With smaller players around the stoppage, the small ball forward line can hunt at ground level, or apply pressure and create another opportunity if the stoppage goes the way of the opposition. In the meantime, the defenders of the attacking team will have set up a pressed up wall a kick from the play, to mark a ball kicked out in a scramble by the opposition. Then, chaos ensues. That’s just in the forward half. We’ve already spoken at length about the impact of the abolition of the third man up rule, which appears to have at the very least given coaches cause to completely toss out conventional wisdom in the big man spot. By the end of the season, I’d struggle to name a team that went to market with two ruckmen in the one line up. It’s a crude statistic, but all 18 clubs had a ruckman in the top 20 for total hitouts this season – Sydney (Sam Naismith in 16th and Callum Sinclair in 18th) and Fremantle (Aaron Sandilands in 17th and Sean Darcy in 19th) were the only teams to have more than one ruckman in the top 20. Any club that goes into a game with more than one full-time ruckman next season will be inviting a swift small ball death. What does small ball mean for the league? Don’t believe me? Just look at the colour and movement surrounding this year’s trade period, and list management season more broadly. Melbourne wants to offload Jack Watts, a perfectly fine second or third tall option, for no apparent reason. The Dees also delisted perfectly adequate second ruckman Jake Spencer. Melbourne are chasing Jake Lever harder than a greyhound chasing a rabbit – or is Lever the greyhound? – but he’s to play at the other end of the ground, where the small ball antidote is intercepting defenders. Besides, it’ll mean Tom McDonald can fulfil his destiny as a Coleman medallist. After a 27-week Victorian media campaign to bring Josh Schache home, no one is interested. The list of clubs ruling out a deal for the want-away key forward is longer than those interested; six months ago the talk was a multi-year, multi-million dollar deal. And remember, after screaming until they went blue in the face about their plans for the young forward, Brisbane initiated this, not Schache. Daniel Menzel might be without a home come the end of trade period, despite playing kicking 40.16 in 19 games for a team in absolute need of goal kickers. By contrast, his streaky teammate Steven Motlop looks to have a surplus of options. One is big, the other is small. Collingwood chopped a bunch of its tall dead wood in a list cull yesterday, and look as likely to make a move for a ‘missing piece’ key position player this trade period as the Lions and Blues are likely to play each other in next year’s grand final. Port Adelaide want to shed Matthew Lobbe, after abandoning the notion of playing he, Paddy Ryder and Charlie Dixon in the same team as soon as Ryder was available to play full time in the ruck. They let Jackson Trengove walk, and look set to bring in another best 22 midfielder in Tom Rockliff. The Power are already relatively small, and look almost certain to play Dixon as a lone tall forward next year. 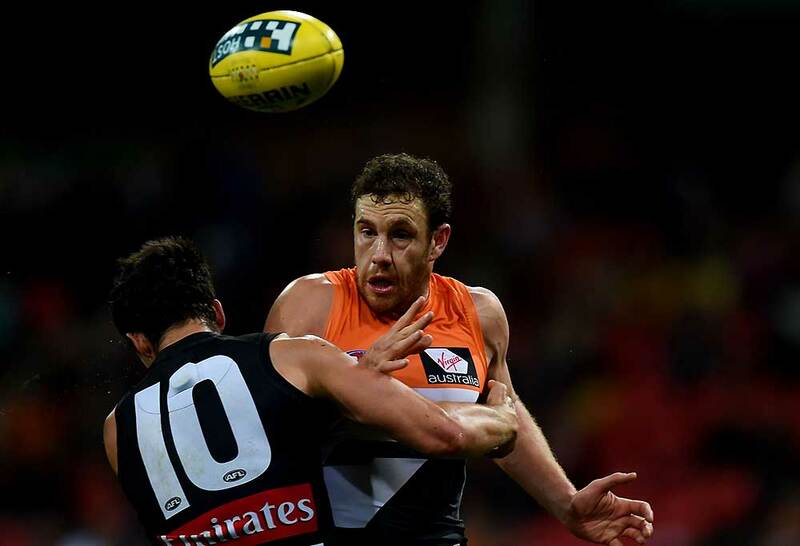 Greater Western Sydney has reservations about the retention of ruckman Shane Mumford for 2018. While that appears mostly driven by concerns about a degenerative knee injury, that the Giants looked mighty tall for most of this season must also be figuring in the decision. Across the Western Motorway, there has been talk about Sydney’s need for Kurt Tippett. The Swans have already reportedly stretched his contract over a few seasons to ease his burden on their salary cap, and should the right offer come along they would surely cut ties. The problem is these clubs are all sellers. If it’s revolution, not evolution, then who is buying? Small ball is already infecting the league and influencing the decisions of many teams with the need to make changes to their playing lists. It will absolutely permeate through the draft, where any savvy club will look to build their midfield and small-medium forward group before taking that hulking 200-centimetre key position prospect. Teams that played three tall forward this season will surely reevaluate. The Eagles will not play all of Kennedy, Jack Darling, Nic Naitanui and Scott Lycett in the same team as they did this season, but with Drew Petrie and Nathan Vardy assuming the ruck and ruck-forward roles. Ditto the Giants, who cannot play Jonathon Patton, Jeremy Cameron, Rory Lobb and Mumford in the same team. They looked far better when one of them missed this season as it is, before we consider this shift. That creates all sorts of headaches for the Giants, who are short on small forward options. Adelaide may be the exception which disproves the theory. The Crows don’t play three tall forwards, they play four, albeit Tom Lynch and Taylor Walker are extraordinarily skilled for their size. The Crows may be able to get away with it because their big men are multi-faceted. Lynch is a wingman in a key forward’s body, Walker is one of the best field kicks in the game, and Josh Jenkins can do a lot of the small things that go unnoticed. Mitch McGovern looks the most one dimensional of the set, but it matters little given who surrounds him. And then there is small ball gravity itself, Eddie Betts. Geelong must be aggressive in their list management and get smaller quite rapidly. It is not the Geelong way; the Cats have attempted to bulk up and play bully ball in the past two seasons, to near-lethal effect (as we discussed a few weeks ago, making two straight preliminary finals is no mean feat). But it has to become the Geelong way. Now, the Cats have some small forward talent on their list. It just spends more time in the rehab room than on the field. Geelong will get smaller naturally over this offseason with the retirement of Tom Lonergan and Andrew Mackie, but that won’t do. Adding Devon Smith or Jake Stringer would help beef up their list of small ball options at the pointy end; Gary Ablett is a handy addition in that respect also. This is nothing a revolutionary change that will sweep across the league and shake up the way the game is played. Think about where we may find ourselves in two or three years. Every club has adjusted its list, and now has just a handful of players that stand 195 centimetres or more. Ruckmen are few and far between, with only the most dominant of big men able to maintain their place on an AFL list. Some clubs go down a path of having two rotating forward-ruckmen in their starting line up, to take advantage of favourable forward line match ups and to catch out the tiring hulks who carry the load for the full game in the fourth quarter. Few clubs play more than one key forward in their best 22, instead surrounding a lights-out contested marking machine with a group of medium and small forwards who swarm their way around the forward half of the ground. 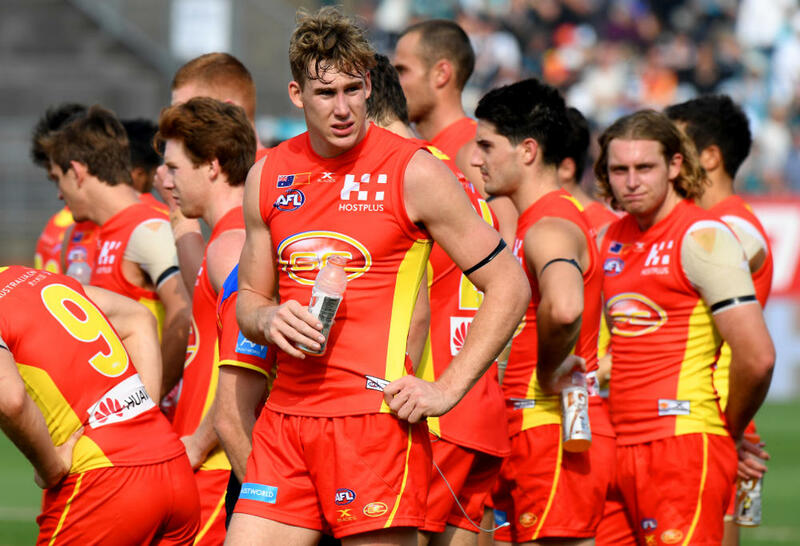 Tom Lynch commands the richest deal in the game’s history, but Peter Wright – a quality tall – finds himself kicking 100 goals in the NEAFL because he can’t fit the structure of the Gold Coast line up. Fast break football is the new dominant strategy. Clubs have now invested more in long kicking defenders, who are able to break defensive presses and get the ball into space to allow the small ball system to work its magic. These players become the new hot commodity, as teams begin to adjust to the idea that going a little smaller down back might lead to fewer intercept marks but more fast break opportunities. No club dares take a key forward prospect inside the top 20 of the draft. There is a premium placed on three attributes: speed, skills and size. Clubs now deal in key forwards as they used to deal in ruckmen, shuffling them around the league for late picks and picking them up from the scrap heap of delisted free agency. Key defenders are a valued commodity, but they too are rarely taken with the top picks in the draft. The league grows increasingly concerned with the chaotic scramble created inside 50, and begins to warm us all up to the idea of a radical change to the structure of the game. What that is I don’t know, but I know zones are impractical and moving to 16 a side does little to address the problems associated with congestion. Regardless, small ball will surely bring a transformative impact on the league, and the way we think football ought to be played. The Western Bulldogs and Tigers showed the way, and in the ‘me too’ way of the AFL, the other 16 clubs will now surely follow. Indeed, the early days of this year’s trade period suggest the small ball revolution has already begun.